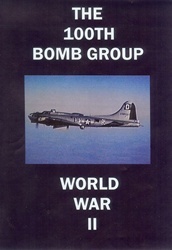 Film #1 - The 100th Bomb Group - 1942 to 1945. Walla Walla, Washington to Thorpe Abbotts, England and home. Filmed by Captain E. Schwarz, Group Photo Officer. 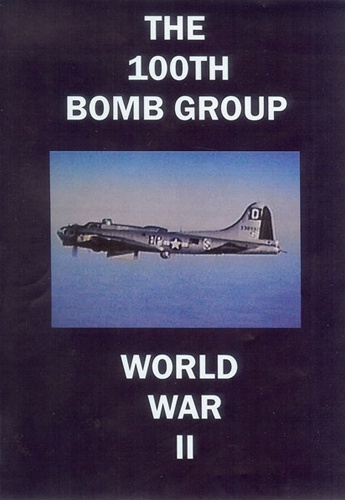 Written by Captain John H. Luckadoo, original 100th pilot upon first viewing in 2008. Run time of 45 minutes in color. Film #2 - Mission to Regensburg - 17th August 1943. Aerial footage of 100th B-17s on the first 8th Air Force shuttle mission to Europe and over the Swiss Alps to North Africa. Run time of 9 minutes in color. Film #3 - Escorting Fighter Gun Camera Film - 1943: Bremen, Munster and Schweinfurt 100th Bomb Group missions. Run time of 10 minutes in B&W. Film #4 - Victory Squadron War Bond Rally - England summer 1944. Glenn Miller's orchestra performs and General Doolittle reports progress on the war. Run time of 12 minutes in B&W. Film #5 - Holland Food Drop - April 1945. The 100th drops supplies to starving Holland after cease fire with the Germans. Run time of 4 minutes in color and B&W. Film #6 - America The Beautiful - 1945. The America that millions of G.I. 's came home to after victory in Europe and victory over Japan. Run time of 25 minutes in color. Total run time for The 100th Bomb Group DVD is about 107 minutes. Format is NTSC DVD and Region-Free.